Storage Authority is a self-storage facility located in Union Grove, Wisconsin, only a short distance from Burlington, Kenosha and Racine. We have two storage locations located in Union Grove for your convenience. 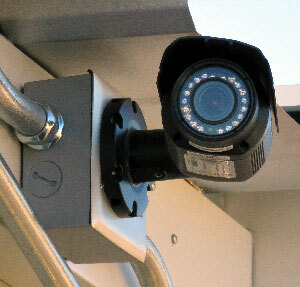 Our faculties are under 24 hour video surveillance with an electronic code assessed gate. Customers have 24/7 access to their units. 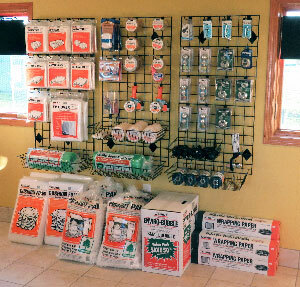 We sell all sorts of supplies for your moving and storage needs. Storage Authority is your one-stop destination when it comes to anything moving and storage. 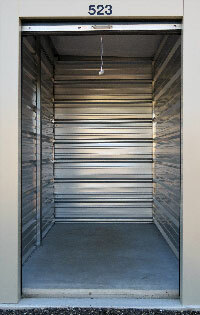 We have several sizes that are sure to meet your storage needs no matter how large or small. Don’t know what size will fit? See our unit size guide or speak to our Site Manager for help deciding what size will work for you. Needs boxes, tape, or protective covers for your furniture? We have that as well! We’re here to make your next move as easy as 1-2-3. We have several sizes that are sure to meet your storage needs no matter how large or small. Don’t know what size will fit? See our unit size guide or speak to our Site Manager for help deciding what size will work for you. Please view our Unit Sizes & Prices. Reserving your unit is free and easy. Simply choose what size works best for your needs and reserve. If you have questions regarding availability or wish to speak with our Site Manager prior to reserving, please call 262-676-9464. There’s no obligation to reserve. We ask that reservations are made at least 24 hours in advance of expected move in date. You can cancel your reservation at any time for any reason at no charge to you. Office Hours are Monday-Friday, 9:00-5:00. The only way to assure your move is easy and successful is to prepare yourself. The best way to prepare for storing and moving is to have all the necessary supplies. Whether its boxes, tape, protective furniture covers, packing peanuts or towing materials we have you covered. When it comes to a storage unit the most essential supply to have is your lock. We recommend using a disc type lock. These locks are stronger and much more difficult to break through. If you have your own lock at home, feel free to use it. Either way is fine with us and YOU keep the only key for your unit! 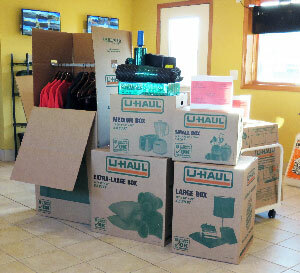 We now offer a FREE Moving Truck with any storage unit rental. The offer is good for one (1) time slot. The truck is also available for rent. If you have any questions or concerns prior to your move in date, or wish to speak to a site manager feel free to stop in during business hours or call us at 262-646-9464. We’re happy to assist in any way we can. Not a problem! There is no paperwork to sign. No added fees needed to pay. Just have your unit cleaned out by your next due date, contact the site manager and we’ll take you out of the system! We can do that too. There is no extra charge to move into a larger unit. Just pay the difference and you’ll be all set. If the size unit you want is not available, don’t fret. 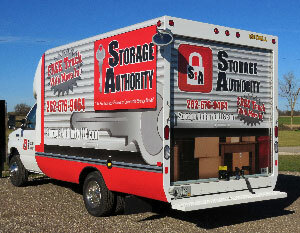 We at Storage Authority will do our best to help accommodate your storage needs. Storage Authority offers several ways to pay your monthly bill. Feel free to use the option that best suits your needs. Autopay: By choosing autopay you will never have to worry about missing a payment and accruing those pesky overdue charges. You can set up your autopay to electronically debit your bank account, VISA, MasterCard, or Discover Card on the date your bill is due. You can terminate this option at any time during your lease. Online: Simply set up your account on emove.com and choose the Pay Rent tab. It’s that easy. Mail: You can send payments directly to Storage Authority at 19031 Spring Street, Union Grove, WI 53182. We accept cash, check and money order. On-Site: You can always pay in person. Simply stop in at the office and we’d be happy to assist you. You can also use one of our payment drop boxes located at both facilities. Just leave your payments in an envelope with your name and unit number so it is easy to identify whose payment it’s for. Phone: If you’re paying with a credit card you can just call us at 262-676-964 and we can take a payment right over the phone. REMEMBER: Your rent is due on the date that you moved in, unless noted otherwise in your lease agreement. Please make sure to pay your rent on time and in full to avoid any late charges. Once you are comfortably settled, you can set up your own account management online. You will need an email address and a driver’s license. You can make payments, set up autopay and update all your contact information. Be sure to keep your contact information current. Your home address, email and phone number are vital for us to keep in touch with you in case of emergency.